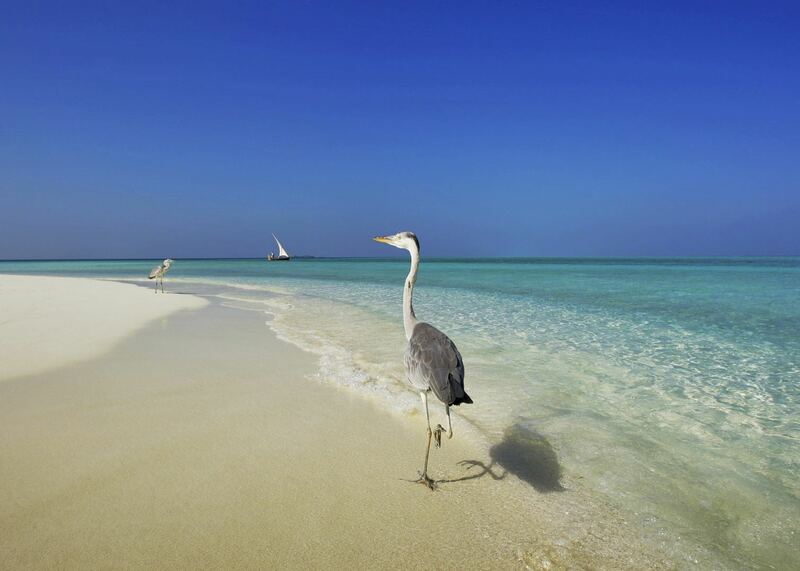 Combine a few days exploring Dubai with a relaxing week enjoying the white sand and dazzling waters of the Maldives. 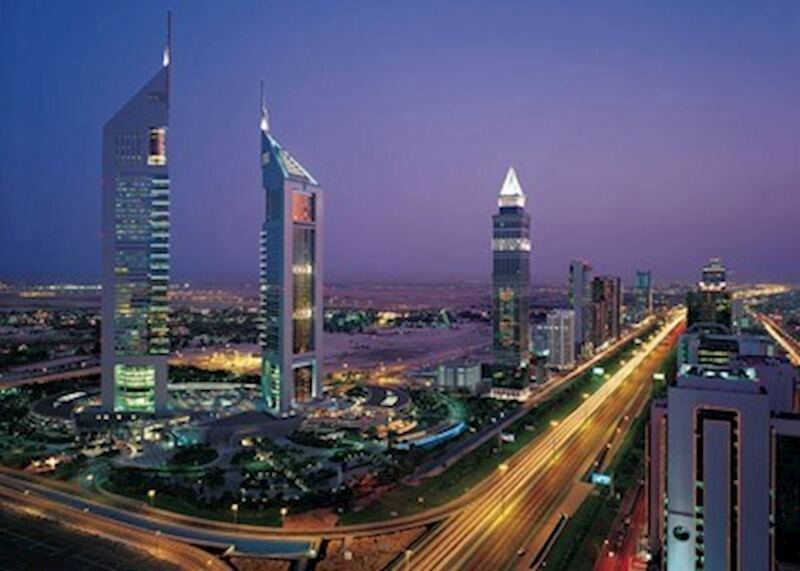 3 nights Dubai including breakfast and excursions; 7 nights Velassaru including breakfast. Includes flights and transfers. 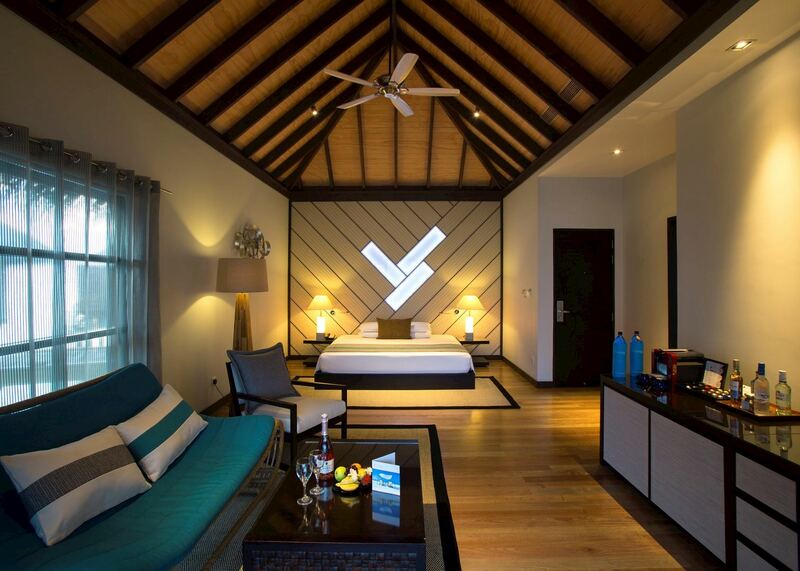 Laid-back and chilled out, Velassaru offers a modern take on the traditional Maldivian island experience. 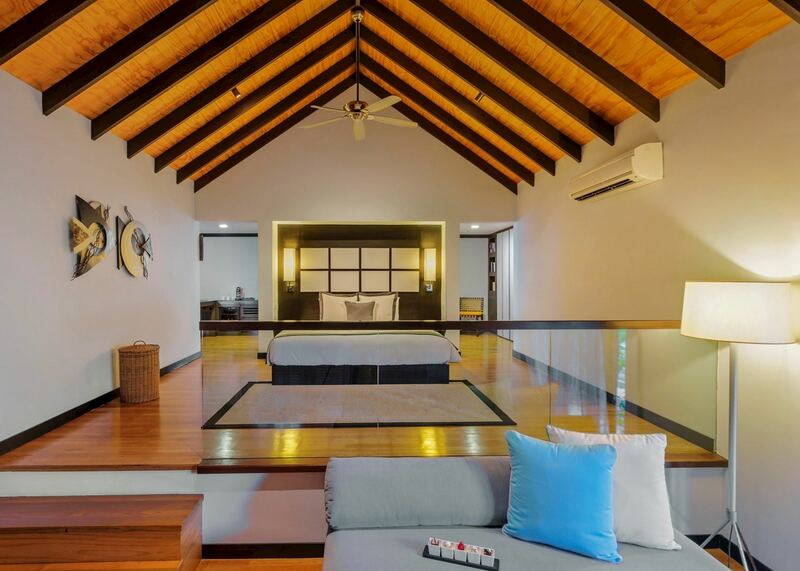 Set in seductive surroundings, its minimalist contemporary decor, excellent facilities and sociable character give it a livelier vibe than some more established resorts. 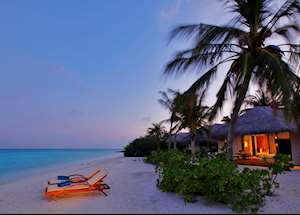 Velassaru has all the hallmarks of a Maldivian hideaway with white sands, swaying palms and an idyllic turquoise lagoon. It is set in well maintained grounds and remains sympathetic to its surroundings with high-pitched, traditionally thatched buildings. 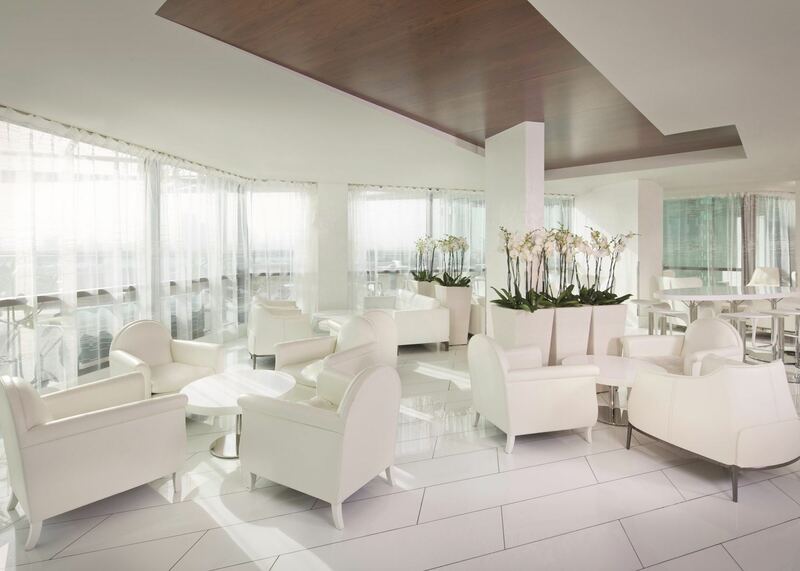 Inside however, everything is thoroughly modern with smart, stylish design and great use of technology. 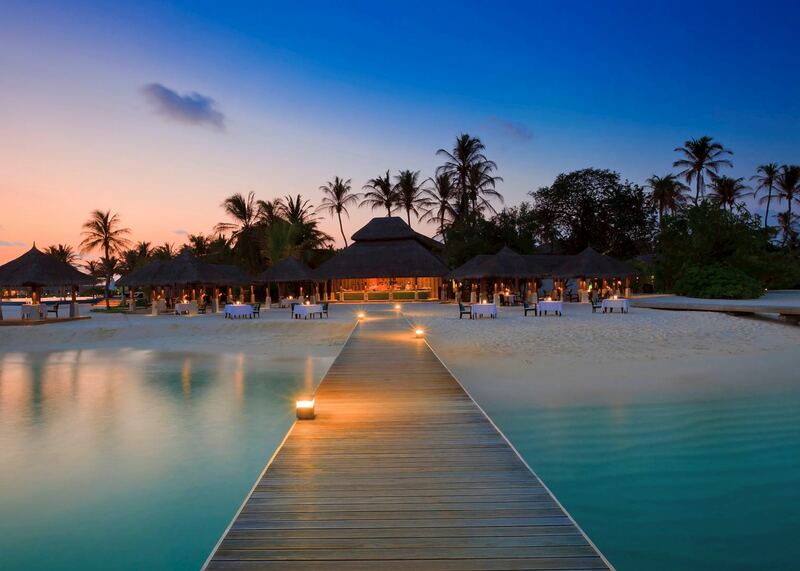 With five restaurants to choose from, a gorgeous spa offering treatments in over-water pavilions, and a large infinity pool, there are plenty of options for relaxation. You can also learn to dive at the onsite PADI centre, take a guided boat trip with the in-house marine biologist, try a range of water sports or enjoy the varied programme of evening entertainment which includes everything from traditional music and dancing to movie nights and visiting DJs. 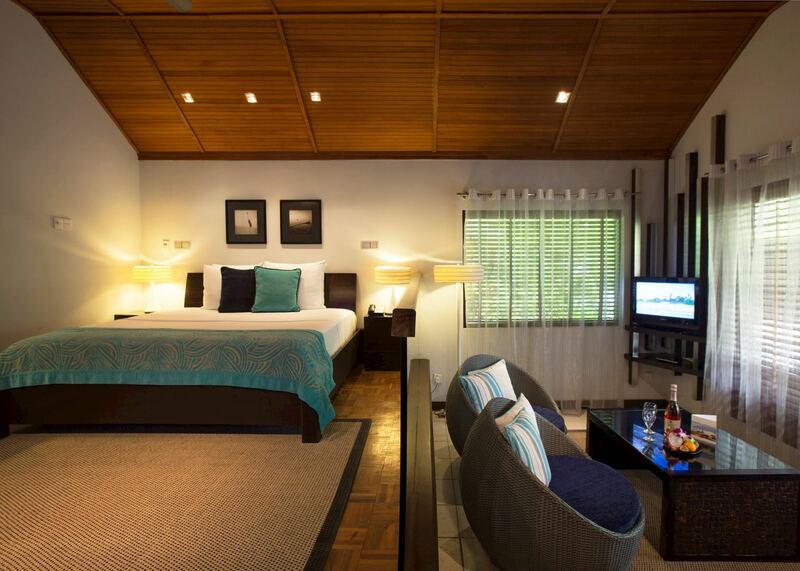 The 129 rooms here are naturally elegant with large windows and chic, modern decor. 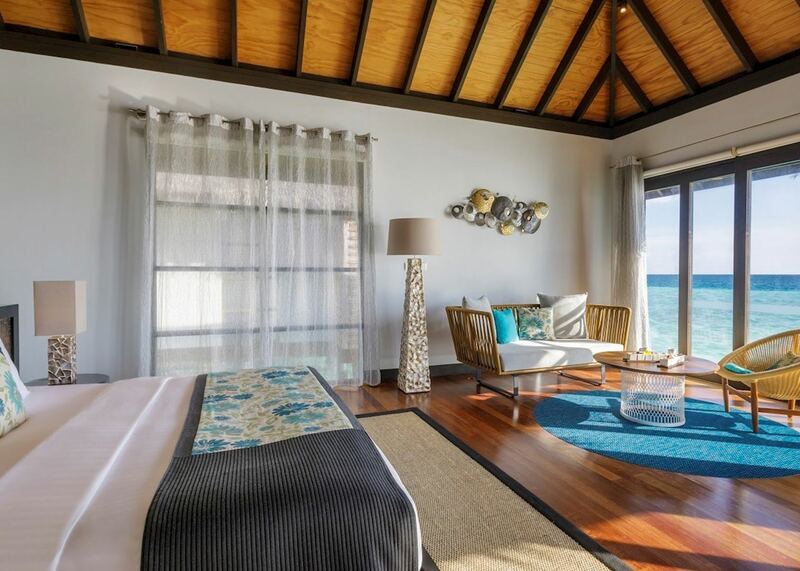 Choose from beach bungalows with garden bathrooms, classic over-water bungalows and executive beachfront villas with private pools. 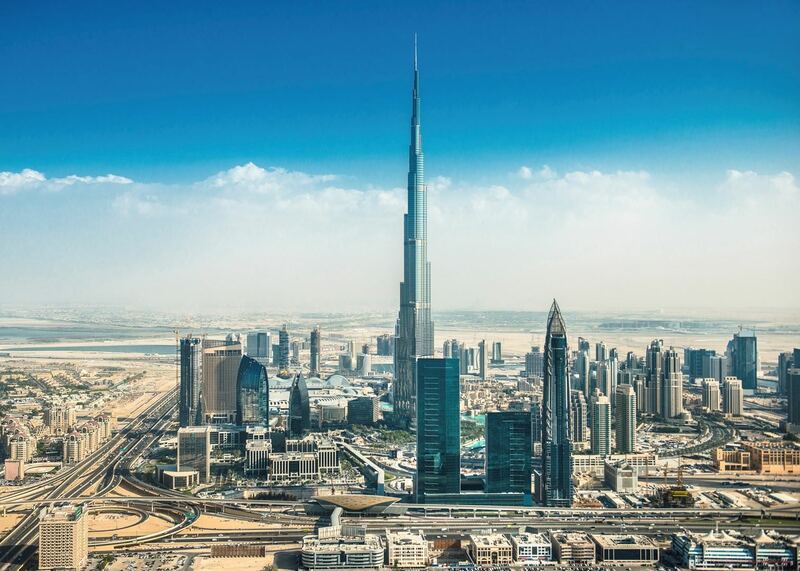 A heady mix of old and new, Dubai blends old-world Arabian charm and allure with the glittering ostentation of its modern day wealth and sophistication. 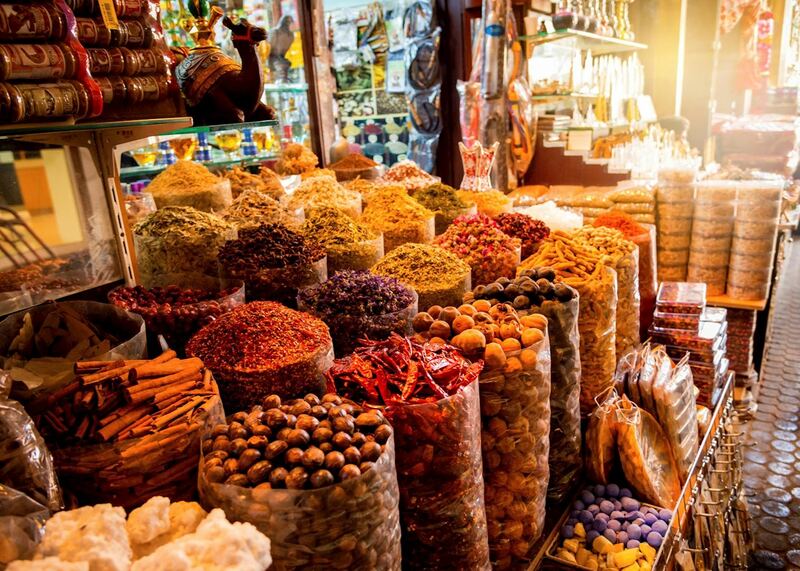 Here you can wander through gold and spice souks, marvel at ancient forts and palaces, or take a sunset cruise to see the bright city lights. 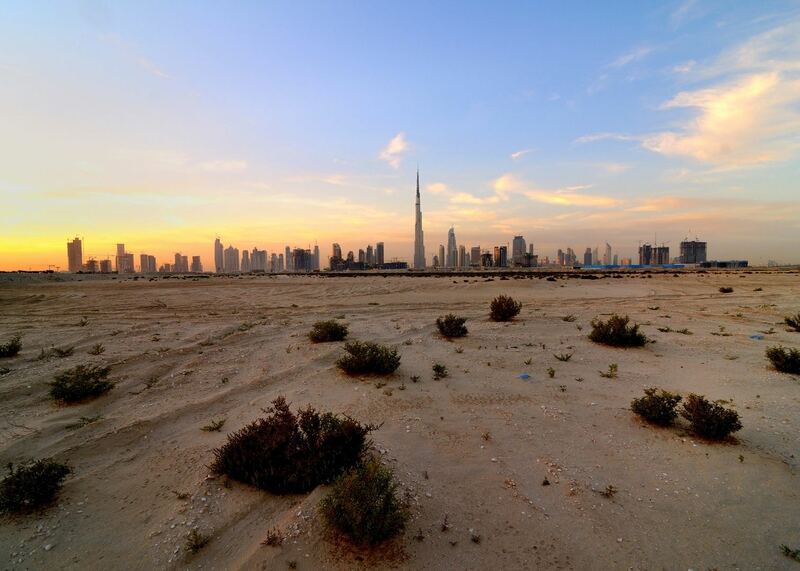 Finish it off with an exhilarating tour through the rolling dunes of the Dubai Desert Conservation Reserve which is home to rare flora and fauna and spectacular desert scenery. 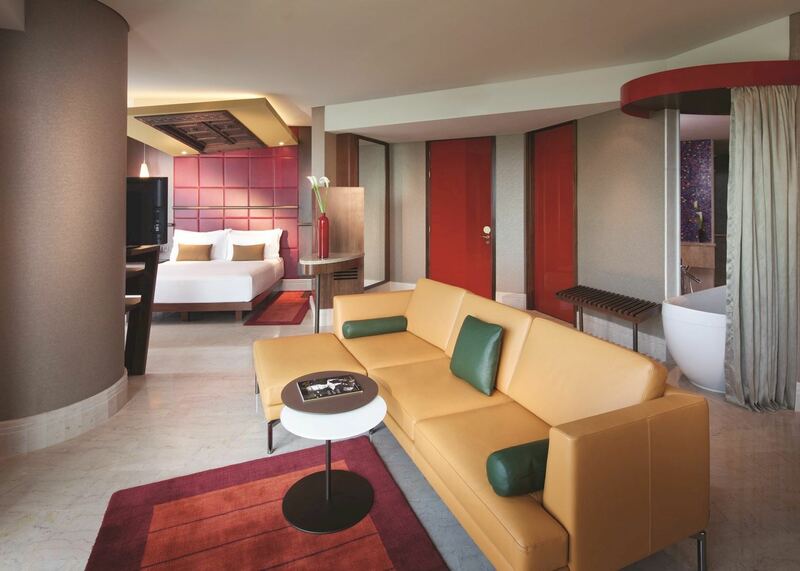 Jumeirah Creekside has a striking, contemporary décor with hundreds of modern art pieces set throughout the hotel. 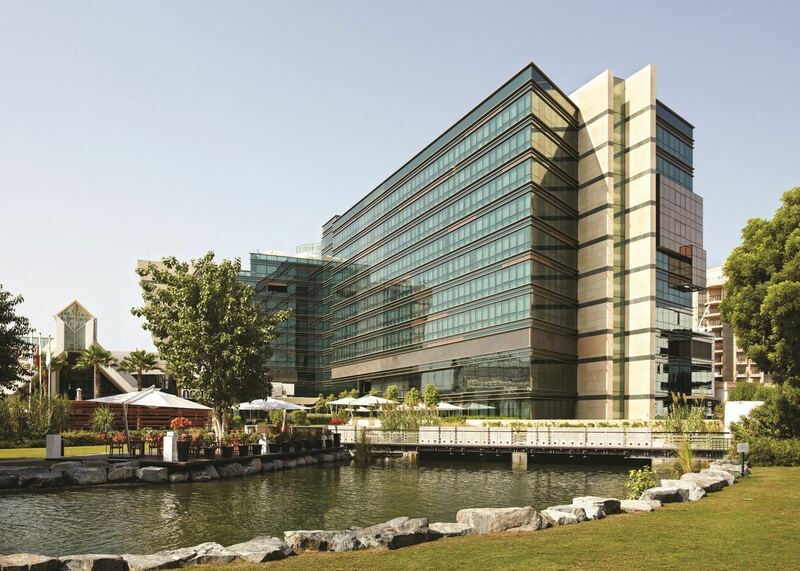 Located in Dubai’s bustling Creekside area, the hotel is close to the airport yet within easy reach of many of Dubai’s attractions. 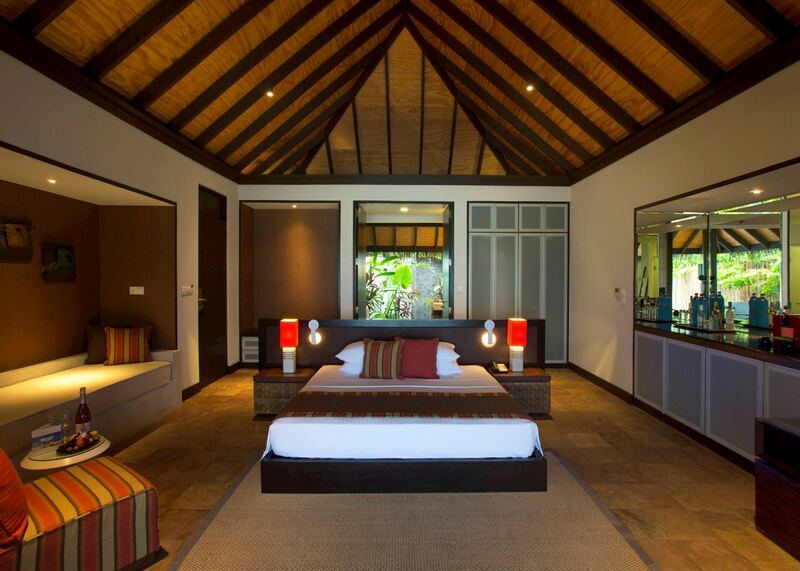 The 292 rooms have a modern Arabian style. 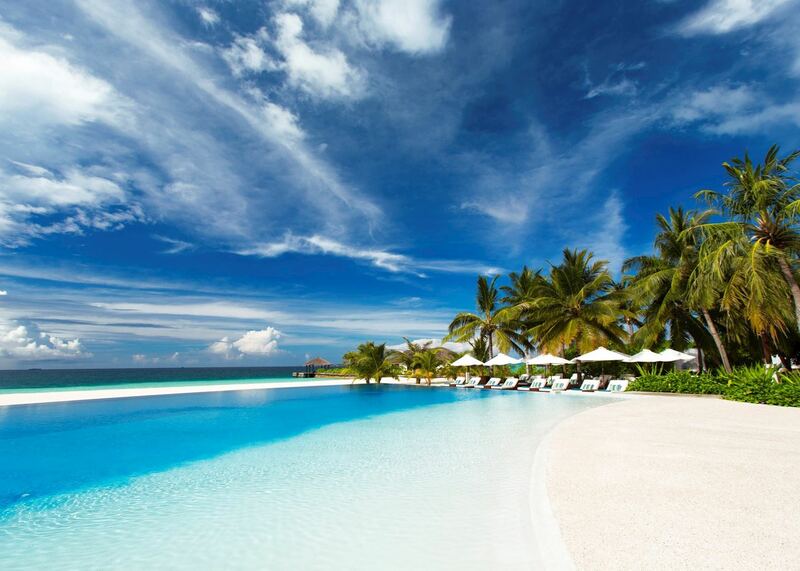 Velassaru welcomes guests with powder-soft sands that slip into azure, bathwater-warm waters. 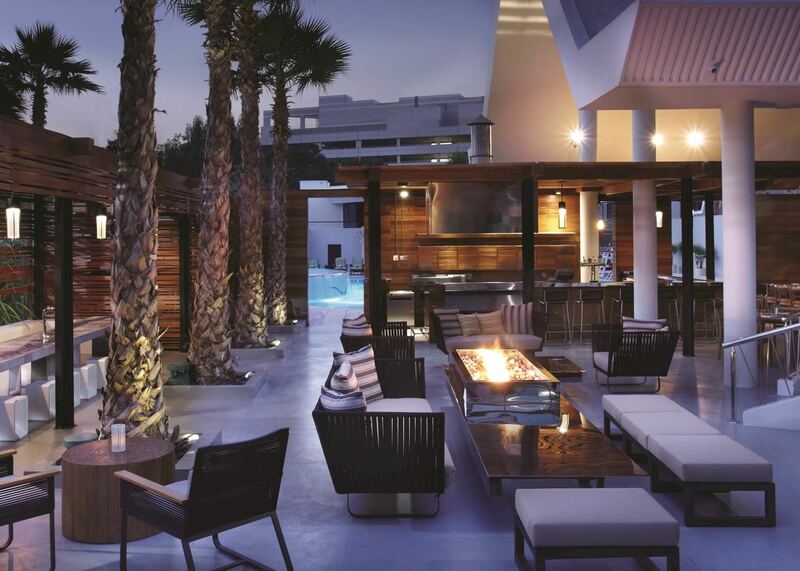 Quality dining is a real focus here with five restaurants serving creatively-curated menus. 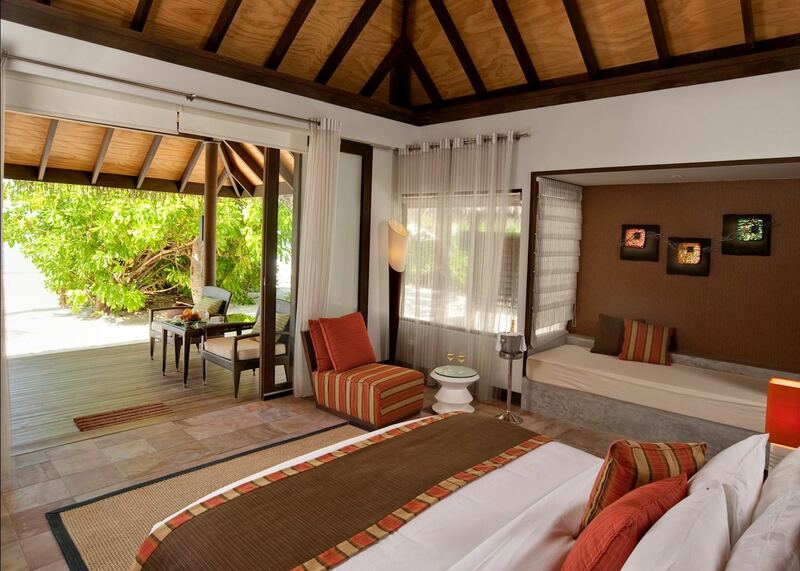 On the outside, the rooms are traditionally thatched, high-pitched Maldivian buildings. Inside, you’ll find contemporary glass partitions, polished-wood furniture and every technological feature you could hope for. The modern décor and range of facilities attracts all ages, giving the island a lively feel, with traditional music, movie nights and DJ nights each evening. Thanks to its size, it’s also easy to find a quiet spot to enjoy the beauty of this majestic Maldivian island. Although there’s no childrens' club on the island, families are welcome and with the wide range of water sports facilities, there is plenty to keep older children occupied. Some rooms, particularly those over water, have balconies/terraces that are unsuitable for young children. Please ensure your specialist is aware if children are in your travel party so we can ensure a suitable room is requested. Velassaru sits on its own palm-fringed island in the south Male atoll, just 25 - 30 minutes by speedboat from Male Airport. A white sand beach hems the entire island and there's plenty of room to find your own space without feeling crowded by other guests. 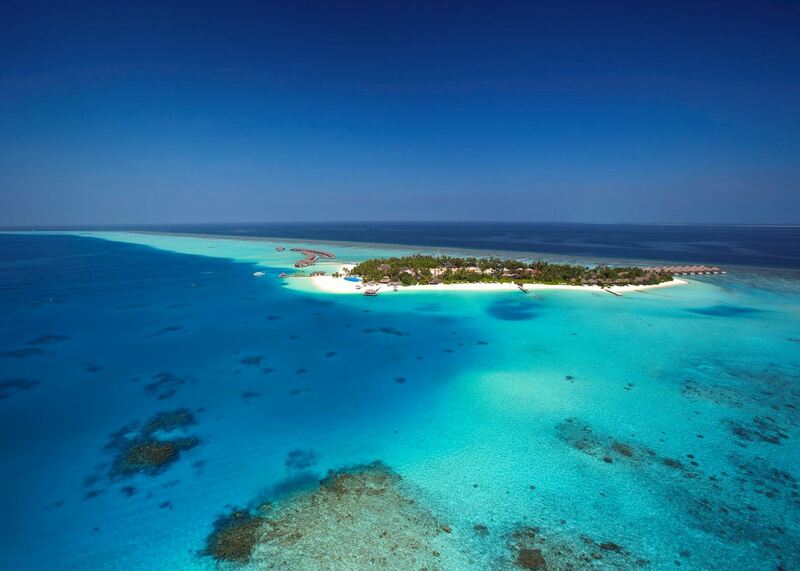 The island is surrounded by a calm, turquoise lagoon that’s ideal for swimming, along with a house reef that glimmers with angel fish and grey mullet. Velassaru seems to tick everyone’s box. It has plenty of space to relax, while still offering a range of activities, entertainment, water sports and dining options. Please note that both Male and an industrial island located 8 km (5 miles) from Velassaru are visible on the horizon from certain points of the island. 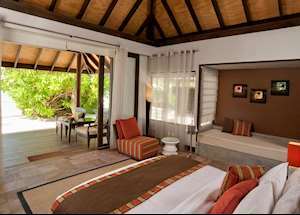 There are 129 rooms on Velassaru, which are either tucked amongst the tropical foliage or over the water with direct access to the lagoon. 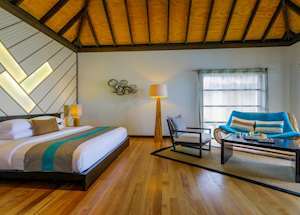 The rooms have a minimalist, contemporary design with air conditioning, Wi-Fi, minibar, satellite TV and tea and coffee making facilities. Thoughtful touches include beach bags and flip-flops. Located a few steps from the beach, these spacious split-level bungalows are 70 sq m (753 sq ft) with a modern design. They feature garden bathrooms with an outdoor shower in addition to the indoor shower. 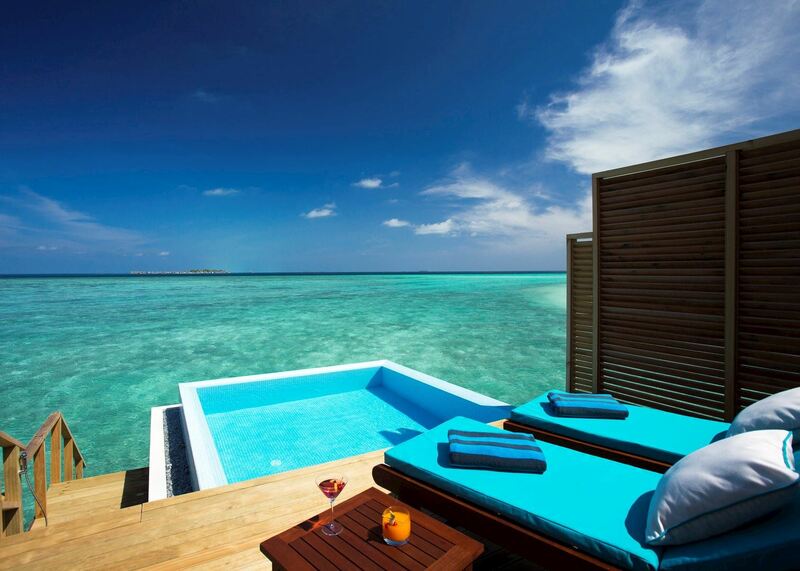 Rooms open out onto an open terrace, furnished with a day bed and plenty of space to spend a lazy afternoon. 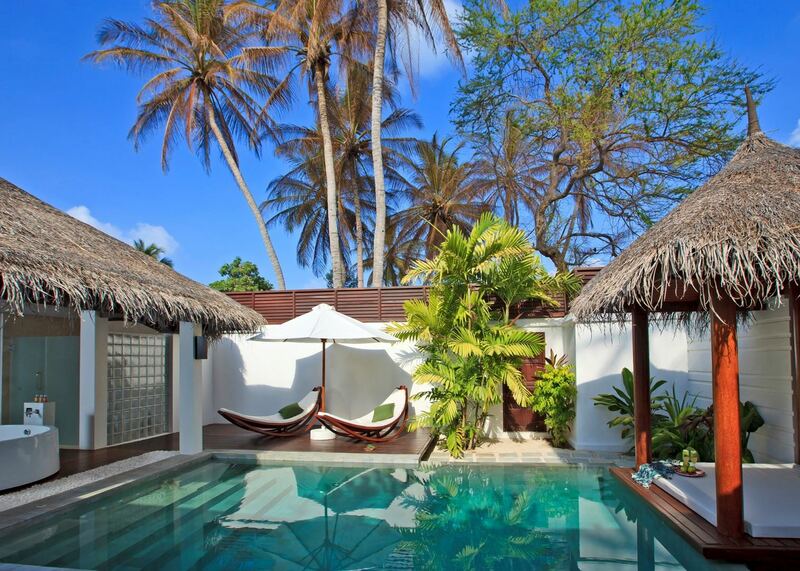 Located on the beach edge, the 96 sq m (1,033 sq ft) beach villas offer luxurious contemporary accommodation with a garden courtyard featuring an outdoor shower, bathtub and plenty of tropical foliage. 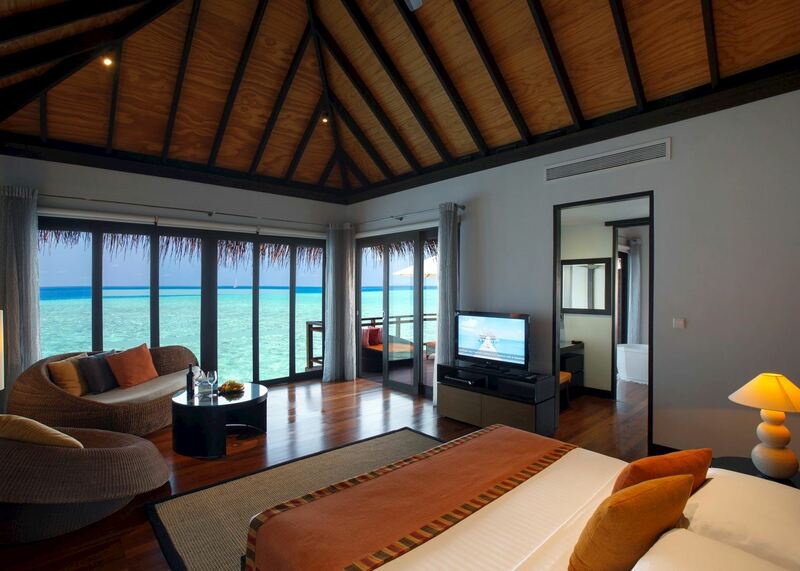 Full-length glass doors and windows allow plenty of natural light to enter, as well as providing panoramic sea views. 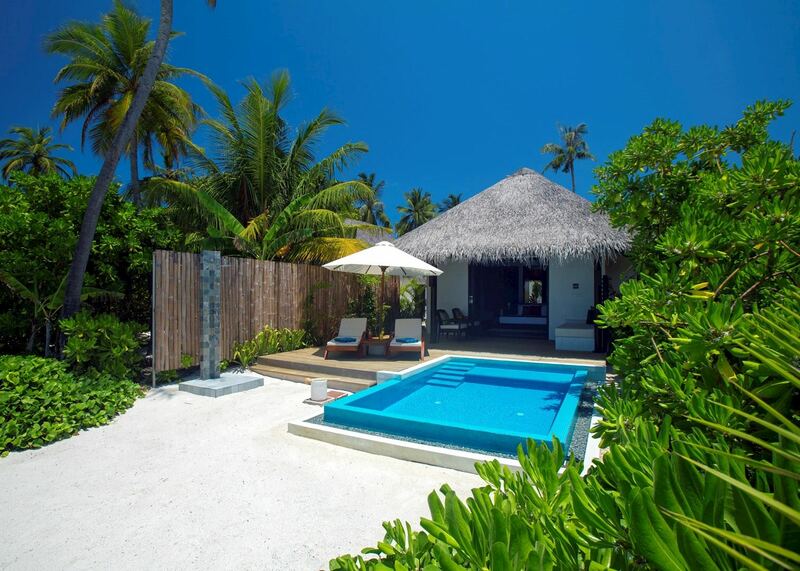 These luxurious and intimate villas offer plenty of space with 175m2. An exclusive sanctuary with oversized plunge pool, personal butler service, private bar and home theatre system, the island’s Pool Villas are the perfect romantic hideaway. 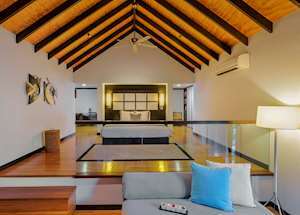 There is a spacious split-level bedroom, large veranda with poolside dining area, a private thatched poolside gazebo and a courtyard garden with outdoor shower. 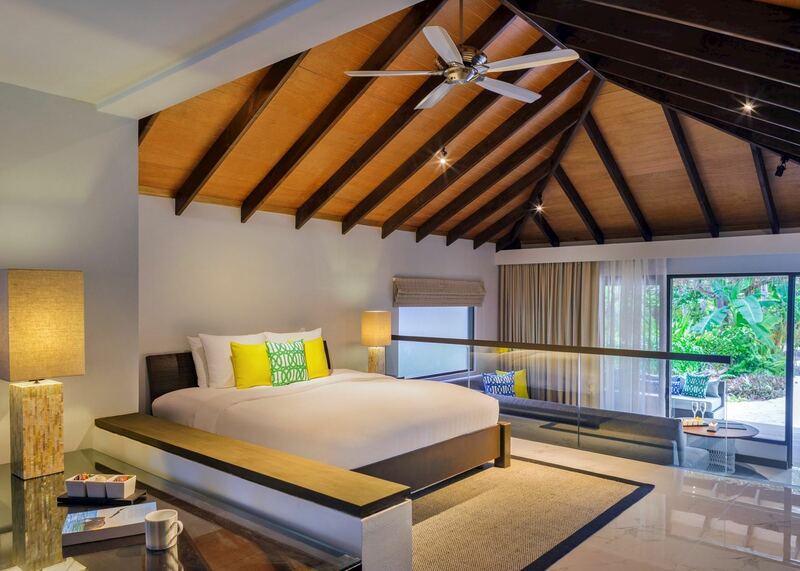 These spacious 112 sq m (1,205 sq ft) villas feature full sea-facing windows and glass doors, with ocean views right from your bed. 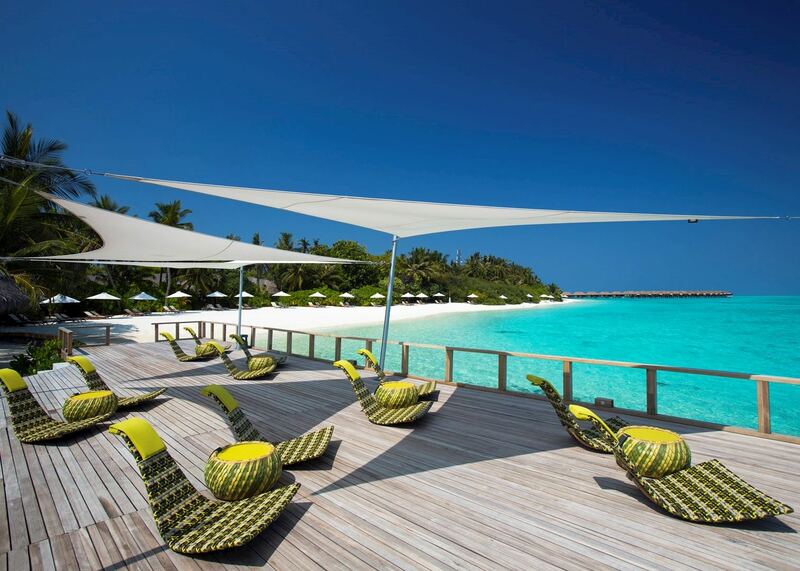 The private overwater terrace has steps leading down directly into the lagoon, providing easy access to one of the best swimming areas around the island. 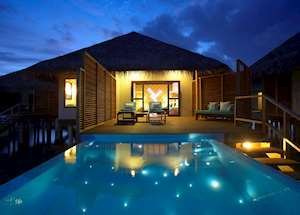 Offering a secluded retreat on the island, the 112 sq m (1,205 sq ft) water villas have views of the Indian Ocean through the floor-to-ceiling glass doors and windows, from the private overwater terrace or as you relax in your own infinity pool. With easy access to the inviting cobalt-blue waters via steps from your terrace, the option of swimming or snorkeling in the lagoon is right on your doorstep. 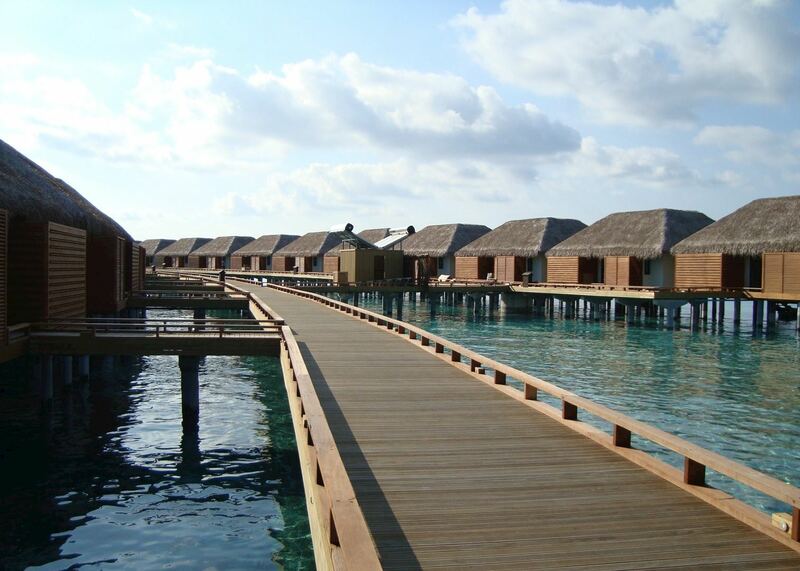 Set over the water, these spacious 80 sq m (861 sq ft) bungalows have a light and airy bedroom and outdoor deck with pool overlooking the ocean. Steps lead directly from your wooden deck into the lagoon. 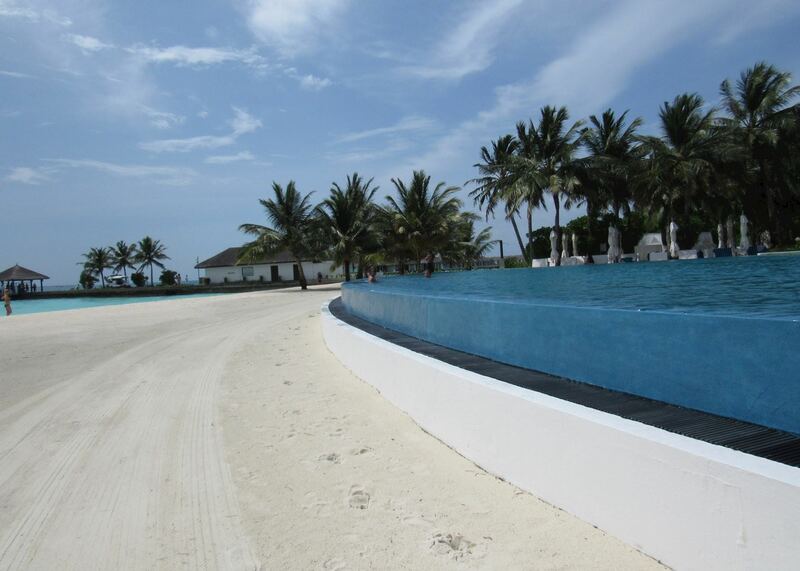 As well as an infinity pool, the resort has an extensive range of water sports including water-skiing, knee-boarding, wakeboarding, windsurfing, parasailing, catamaran sailing and kayaking, as well as tube rides and seabob water rockets. Complimentary snorkelling equipment is available for use on the house reef and they also offer guided snorkelling trips and opportunities to learn more about the reef from in-house marine biologists. 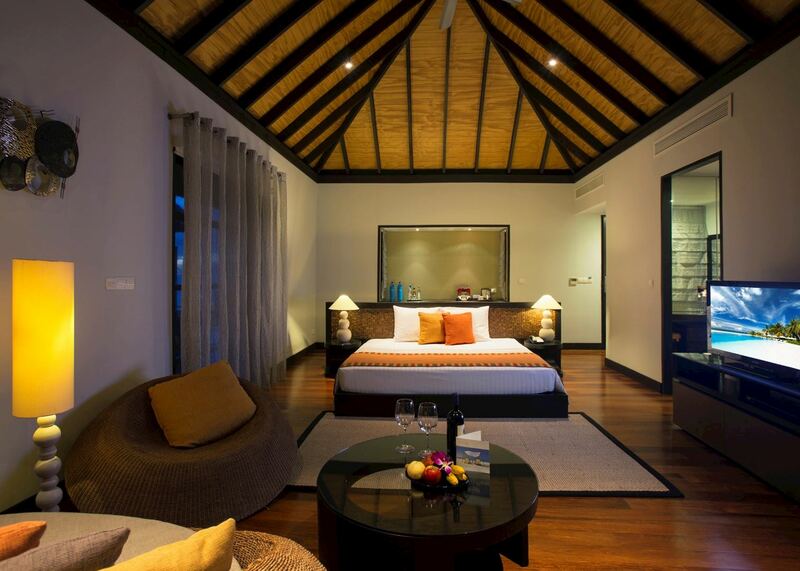 On land the resort has a tennis court and fitness centre with yoga classes. 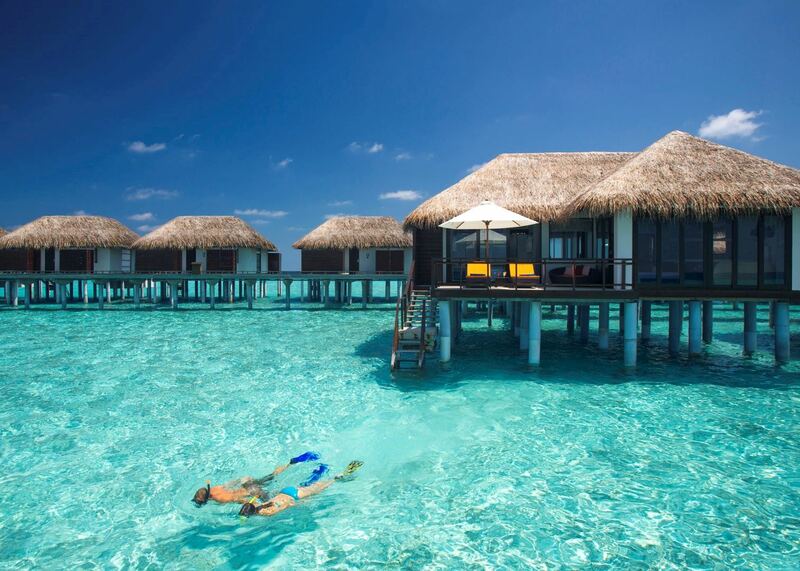 The Maldives’ clear waters offer some of the best diving opportunities you’ll find anywhere in the world. Immersion is Velassaru’s own PADI dive centre offering diving for every level from beginner to professional. PADI courses for all ages and abilities can be booked as well as bespoke diving courses and trips. A digital underwater photographer and equipment is also available to capture your diving experiences. Food is a highlight of the resort and with a choice of five restaurants and two bars, Velassaru offers a greater range of dining experiences than many other Maldivian resorts. Vela is the island’s main restaurant open for breakfast, lunch and dinner serving a variety of international dishes buffet-style, with live cooking stations. Turquoise provides a creative a la carte menu with a large selection of both continental and Asian dishes. There are also more specialist restaurants. Etesian is known for its Mediterranean food while Teppanyaki, a popular Japanese restaurant, serves fresh seafood as well as extensive sushi and sashimi. Sand, the signature restaurant, is aptly set on the beach, with well-spaced tables, ocean views and delicious Asian and western dishes. 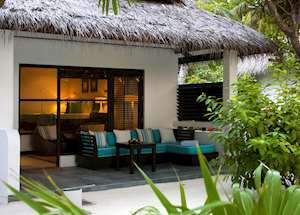 The Chill Bar, located close to the water bungalows, serves a choice of tapas during the day. 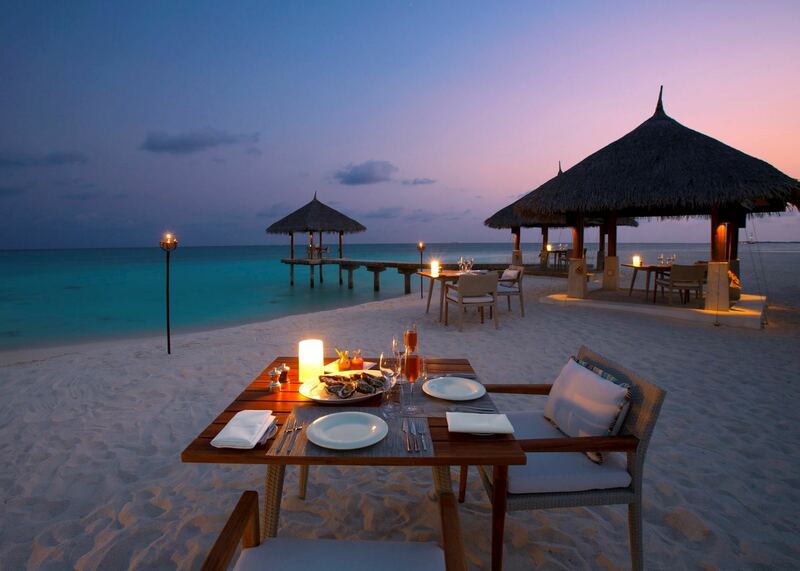 It’s perfectly positioned to order a cocktail from their inventive menu and watch the sun go down. 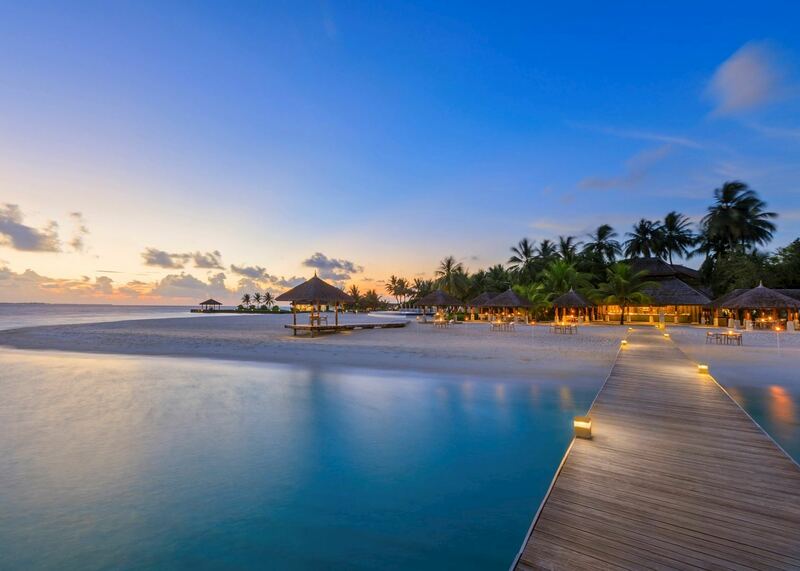 In addition, there’s a selection of private dining options from a private barbecue on the beach to a sunset cruise with authentic Maldivian cuisine. The over-water spa has ten separate treatment rooms offering a range of treatments and techniques including Thai, Balinese, Swedish and Shiatsu. 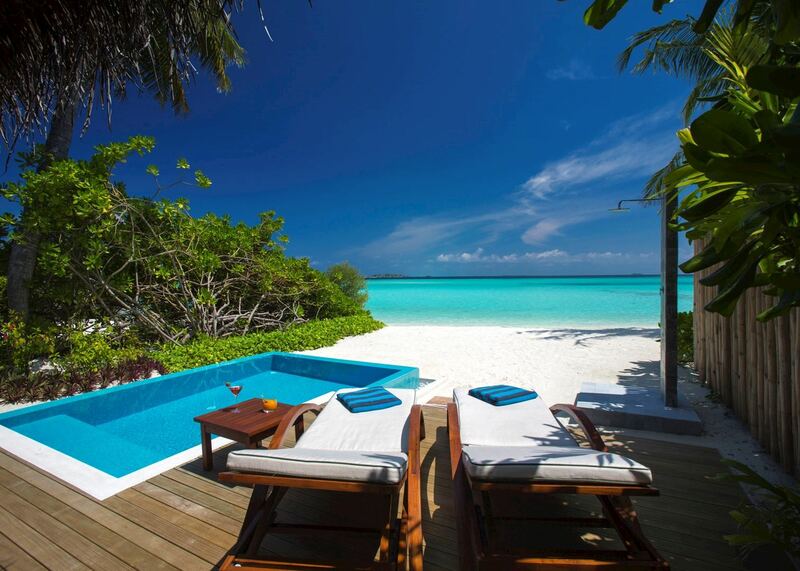 The islands own Velassaru technique uses coconut wood tools to liberate negative stress and stimulate a positive sense of well-being. There’s also a steam room and small hydro pool. Yoga sessions are also provided, with a choice of various disciplines depending whether you want to relax, strengthen or energise. On the shores of the Arabian Gulf, Dubai was, until recently, an oil rich desert state with little tourist infrastructure, but in only a few decades it has transformed itself into one of the world’s leading beach destinations. If you are travelling to the Musandam Peninsula in Oman or flying to Muscat with Emirates airlines you will be landing in Dubai and it makes for a natural break for a few days’ relaxation. 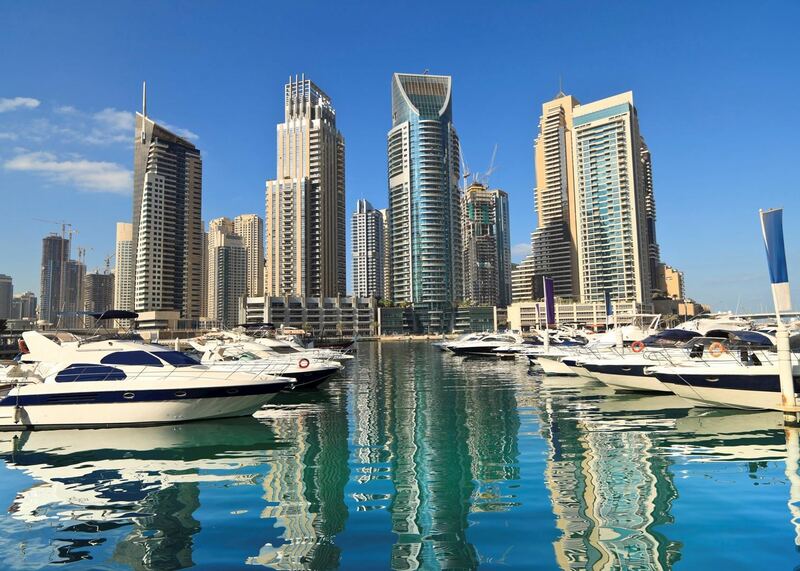 Dubai’s hotels are renowned and include some of the most lavish properties in the world, either on the beach, around Dubai Creek, or in the splendid isolation of the desert. 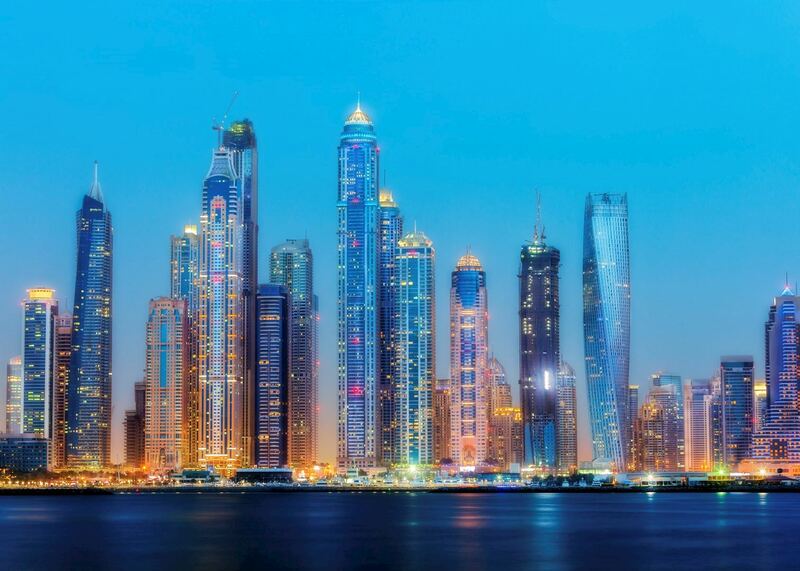 Never understated, Dubai makes a bold statement with an extensive list of activities including excellent restaurants, shopping, championship golf courses, and an indoor real snow ski slope. 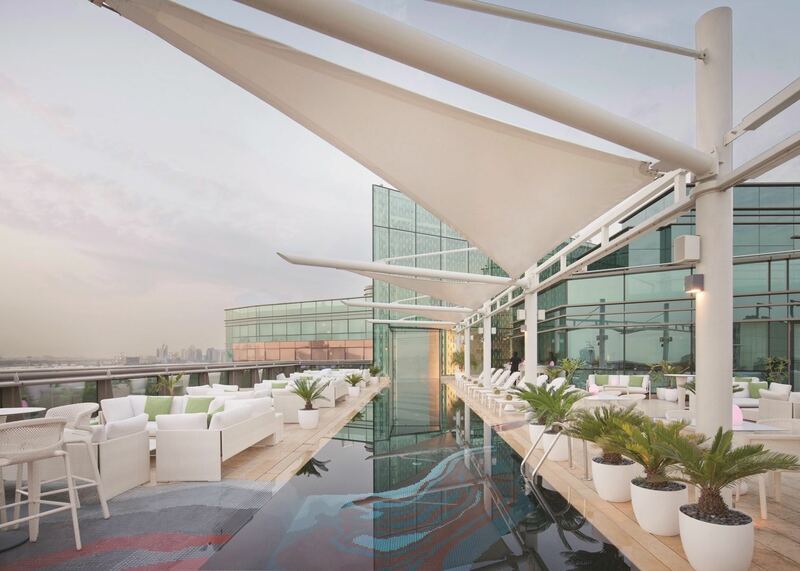 This smart, modern hotel is located in Dubai’s bustling Creekside area. 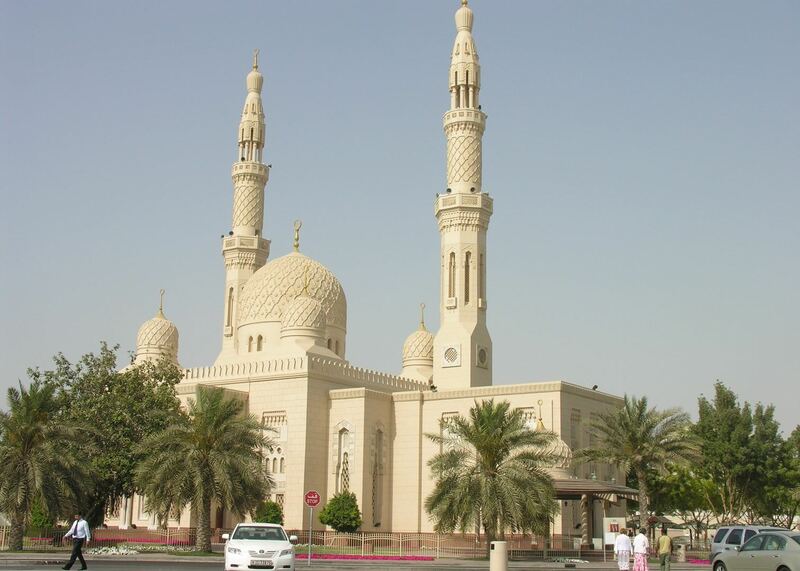 Only 15 minutes drive from the airport, yet within easy reach of many of Dubai’s attractions it is a good base for a few days stopover in Dubai. It also operates a 24 hour check in system so that instead of set check in and check out times, guests’ check out time is same time of day at which they checked in. This can be very convenient for those with flights that don’t fit the normal hotel check in or check out times. 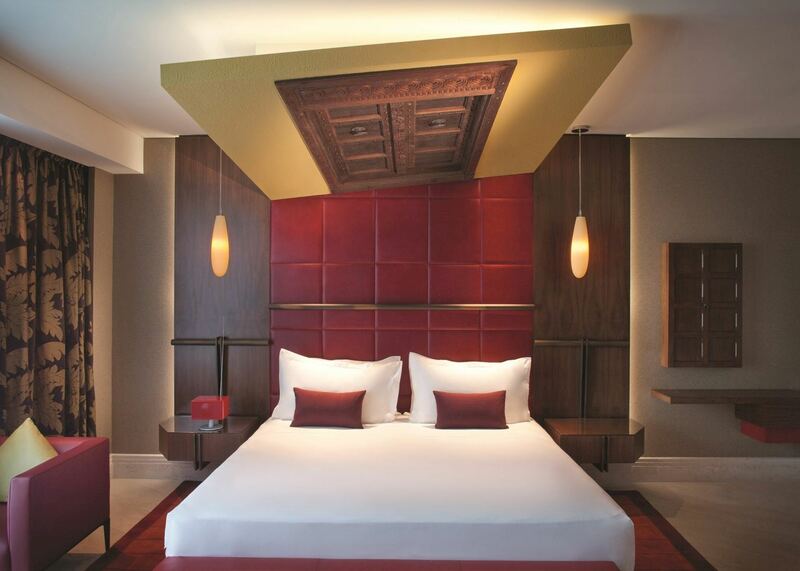 The hotel has a striking décor with 200-300 art pieces set throughout the hotel. The lovely outdoor pool with cabanas around it sits next to a restaurant open for breakfast, lunch and dinner as well as the pool bar. 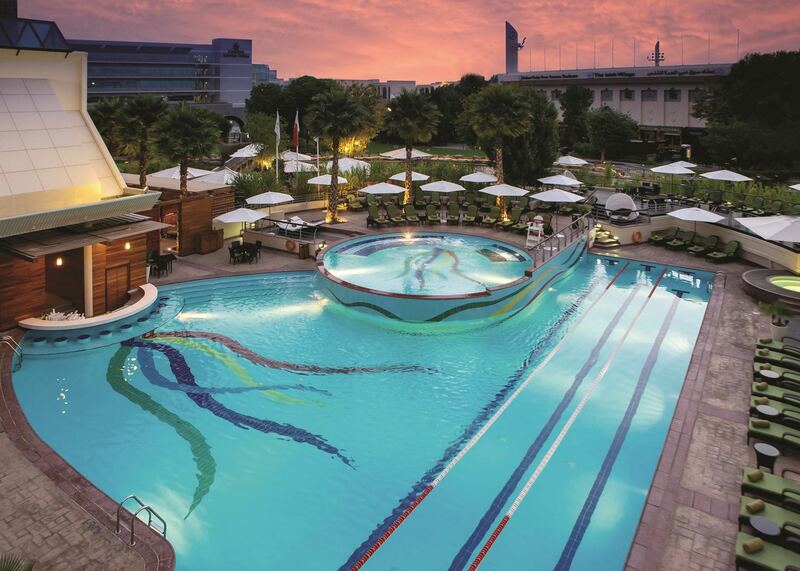 There is a large gym at the hotel as well as an exercise studio, spa, six tennis courts and a squash court. 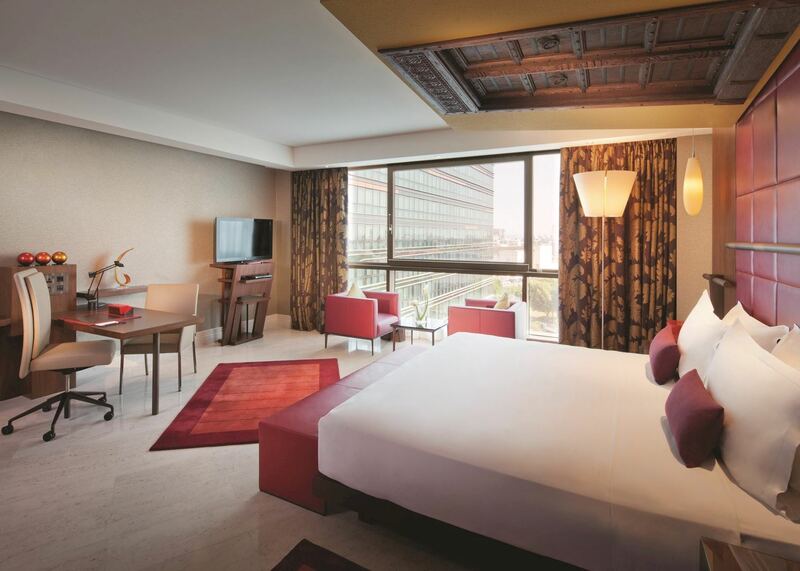 The 292 rooms have a contemporary Arabian décor and offer not only free tea and coffee but also free soft drinks from the mini bar. 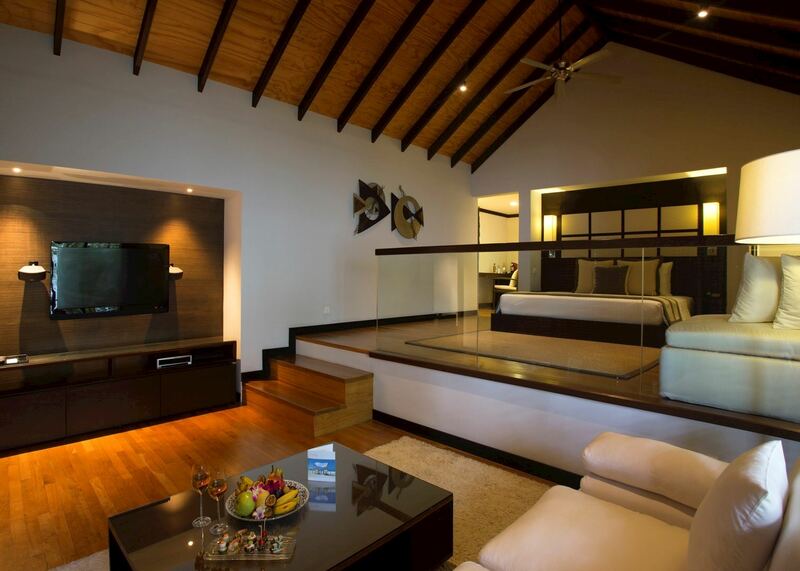 Superior rooms are a spacious 40-49m2 while Deluxe rooms are larger and stylish. Please note that in Deluxe Rooms, the bath is open to the room although it can be separated by a curtain (the shower & toilet are behind separate doors). Board your flight to Dubai where you are met on arrival by our representative and have a short, private transfer of 20 minutes to your hotel. 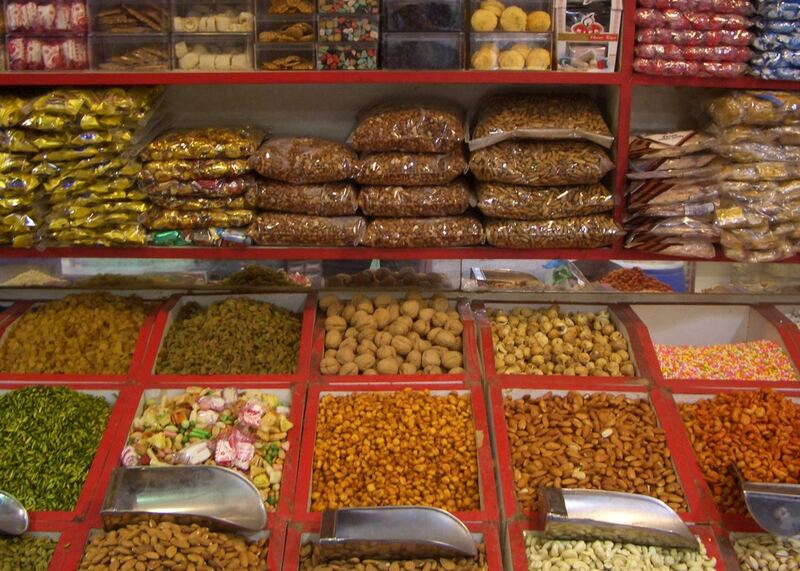 Today you are at leisure to explore Dubai. Most of the city is ultra-modern and over the top with gleaming skyscrapers, striking architecture and huge shopping malls. 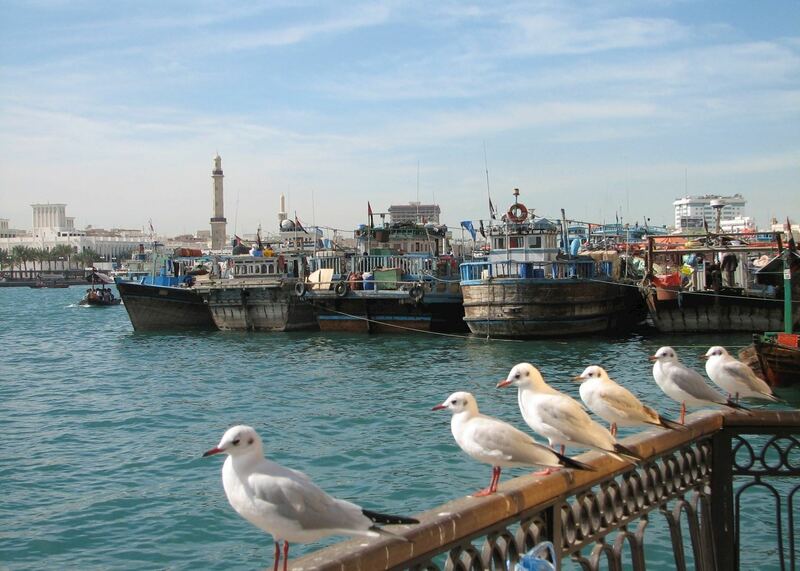 However, there are still corners where you will find traditional souks or dhow boats plying their trade across the river. This morning you are collected from your hotel early in the morning for your transfer out to the desert surrounding the city. After an incredible 4 x 4 journey across the dunes, savour a traditional Bedouin breakfast. This afternoon you are free to explore Dubai as you wish. 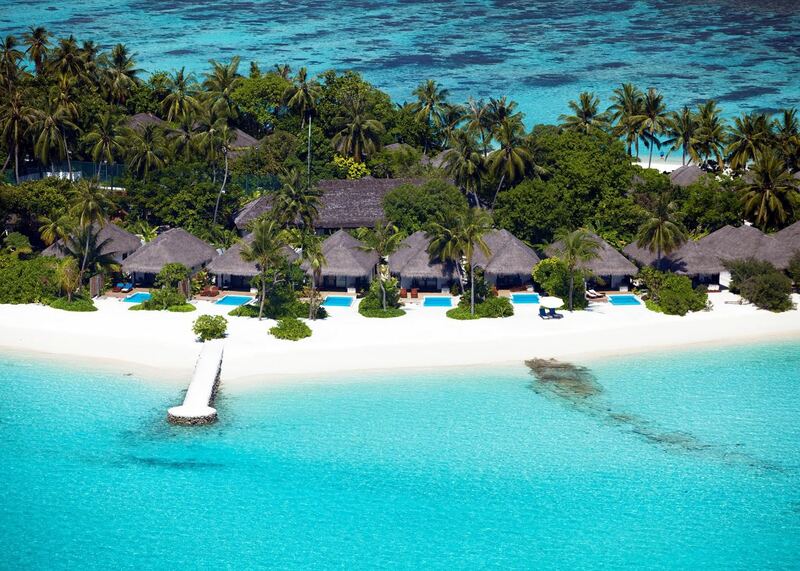 You are collected from the hotel for the short, private transfer back to the airport where you board your 4 hour flight to the Maldives. 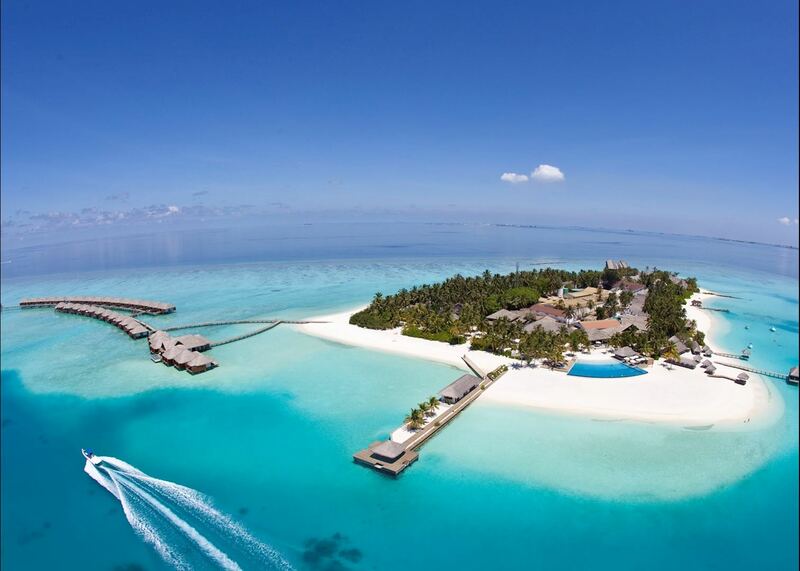 On arrival you are met and escorted to Velassaru's speedboat for the transfer to the resort. 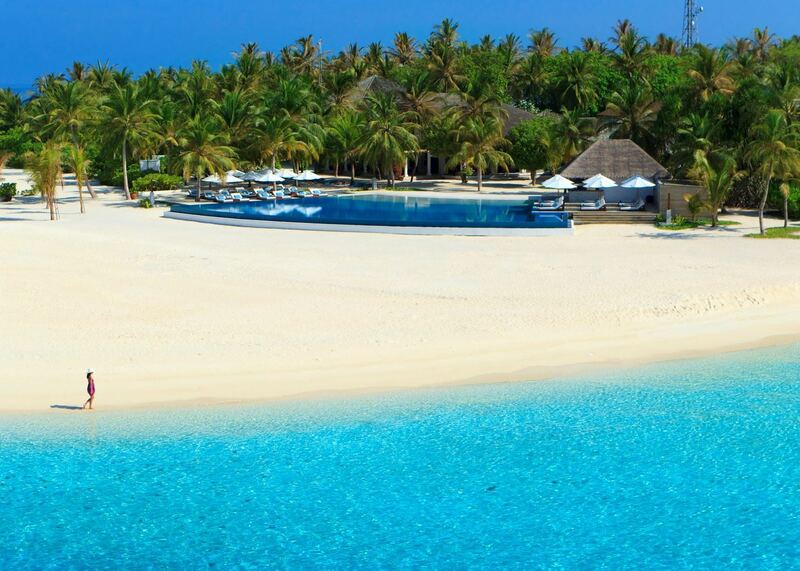 The stunning beach at Velassaru is surrounded by a warm, clear, blue lagoon. 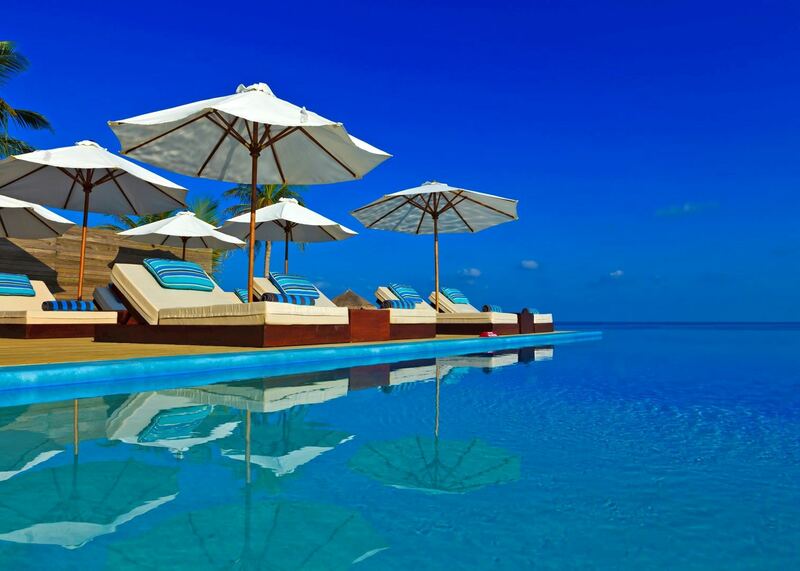 Snorkel at the house reef or relax on the beach. There is a wide range of watersports available from the hotel including a dive centre and you can learn more about the reef from the resident marine biologist. Why not take a boat out to see the dolphins or watch the sunset? 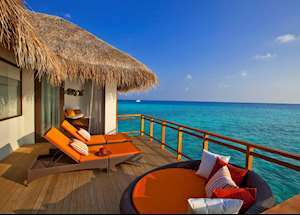 There is also a lovely overwater spa at the resort. Today you have a speedboat transfer back to the airport for your flight home.